The roof is the first essential protective barrier of your home. Your roof protects you, your family, and your prized possessions from the elements. Usually a roof on a single family house will be comprised of asphalt shingles. In hotter climates it is not uncommon to see roofs that are constructed with clay tile or slate. With today's technology, an asphalt shingle roof will usually last for 30 years or more with the proper upkeep. Asphalt shingles have proven over time to be very durable and also cost effective. Architectural asphalt shingles come in a wide range of colors and designs. Asphalt shingles are also used for commercial roofing. These shingles will help improve your home's curb appeal and overall aesthetic appearance. A new roof made with architectural asphalt shingles will customize the look of your home and raise the property value. They give your home an immediate facelift. Rotted or Deteriorated Fascia Board: If your gutters are not installed properly, the fascia board of your roof will be exposed to more water than it was intended to. Your fascia can also be negatively affected by an improperly installed drip edge. This can lead to rotting of your fascia board because water will not be channeled correctly away from your roof. If your gutters get clogged or obstructed, this may also lead to damage of your fascia board. Deteriorated Shingles: Shingles are your roof's first line of defense. Your roof shingles are exposed to rain, snow, heat, cold, and storms. They will lose their effectiveness over time. Once they start to deteriorate; they often develop little cracks that water can use to get inside your home. Chimney Problems: Chimneys have different components that can affect your roof negatively also. Your chimney should be inspected if you suspect water is getting in your house this way. Chimney flues need to be replaced periodically. A chimney flue's purpose is to let fumes out. They are not suppose to stop rain from getting inside your home. If the flashing around your chimney is installed improperly, this can result in open areas for water intrusion. Asphalt roofing systems or strip shingles offer many advantages when it comes to residential roofing. Asphalt shingles come in many different colors and are historically known to last 25-30 years with proper professional installation. They are relatively easy to install. These shingles are very durable, wind resistant, impact resistant, and energy efficient. 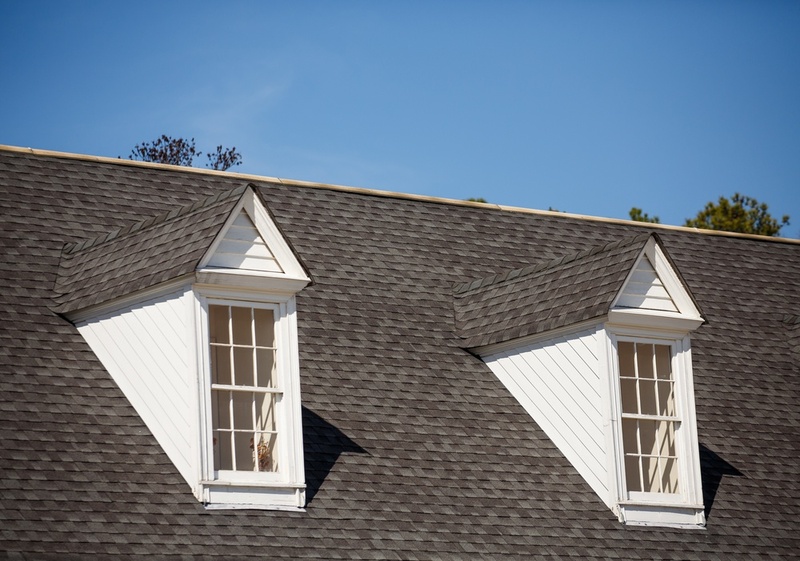 When it's time to get the roof replaced on your home, you'll likely use asphalt shingles. Asphalt shingles are not for use on low slope commercial roofs. The two most common types of asphalt shingles are 3-tab and architectural. 3-Tab shingles have been around for decades. This is the most common type of asphalt shingle that you see everyday in most residential areas. Architectural asphalt singles have become the most popular shingle to use. They are beautiful to look at and provide excellent leak protection. They are installed with ice and water shield and ridge caps to help protect the underlying materials from water seepage. They come in a wide variety of colors and shades. Despite their beautiful appearance, the quality level is just as good as their predecessor. With proper installation architectural shingles can last 25-30 years like traditional 3tab shingles. All shingle installations will require that the proper flashing is used. Flashing material is usually made out of aluminum or galvanized steel. This material will get installed in the joints of your roof, around chimneys, dormers, and any other protrusion of your roof. Its main purpose is to keep water penetration out of your home. It also helps to have proper attic ventilation for your roof. Using an attic fan will dissipate the moisture that can accumulate in your attic. Moisture in your attic can lead to mold issues and also accelerate the demise of your roof structure. Attic fans also help in the summer and winter. They help cool your house in the summer by removing hot air from your attic. In the winter, an attic fan will moderate your roof deck temperature level. This will help alleviate ice dams from forming. These shingles can be used on hip, gable, gambrel, and mansard roofs. 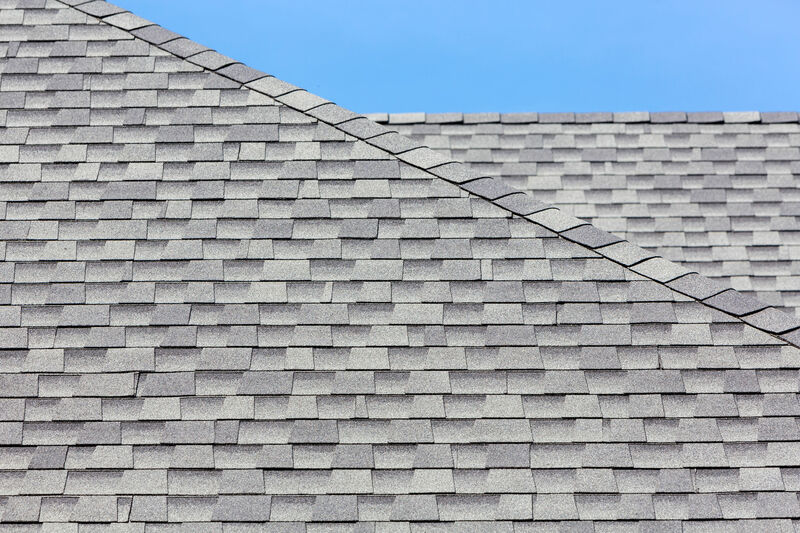 Asphalt shingles have their pros and cons. Here are some of the reasons you should consider using asphalt shingles on your next home roofing project. Asphalt roofing is less expensive than other roofing alternatives such as metal roofing. Asphalt roofing manufacturers can produce asphalt shingles cheaper which translates into a more cost effective roofing solution for home owners. Shingles cost can vary depending upon the material and manufacturer. 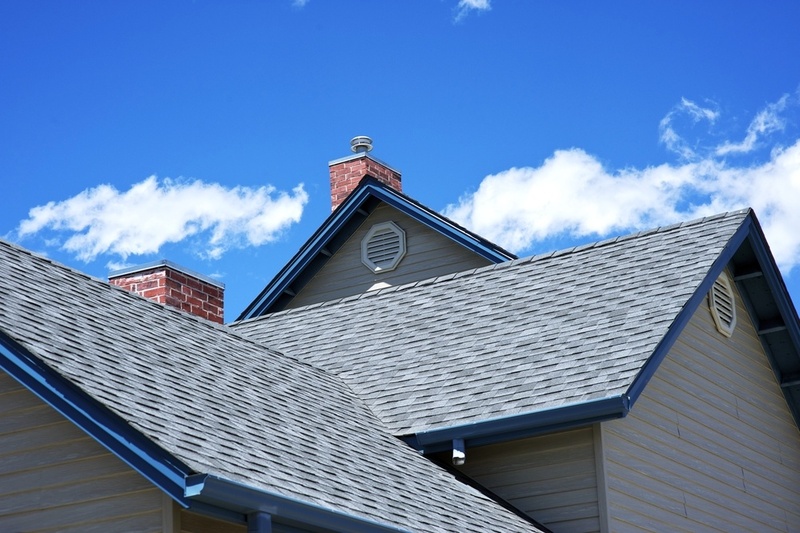 Asphalt roofing shingles are available in wood, clay, cedar shake, and slate. 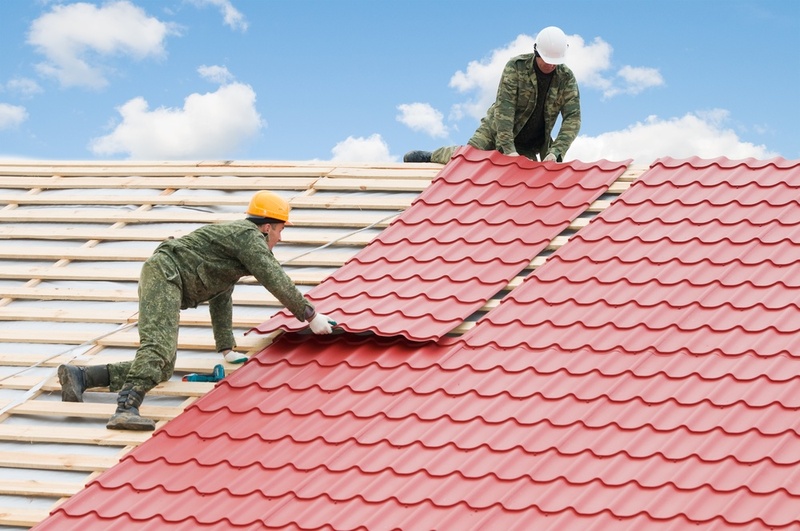 Roofing Contractors find asphalt roof shingles installation to be fairly easy. They are lightweight and durable. They also are good at preventing roof leaks. They are installed in layers on top of roof underlayment. They are great for roofs with hips and ridges. Usually asphalt shingle repairs consist of replacing old worn out, torn, or warped shingles. These shingles are in high supply, so contractors will never have a problem supplying them. Roof repairs can be performed within (1) business day. Asphalt shingle roofs are beautiful to behold when they are professionally installed. These shingles utilize more than just 1 layer of shingles to create extra surface area. Architectural shingles and 3tab shingles are two styles of laminated shingle. This is an excellent roofing option for most homes, townhouses, and condos. Fiberglass shingles are another option when it comes to roof building materials. They are almost exactly the same as organic shingles. They only differ in the contents of the shingle. Fiberglass shingles are constructed with a fiberglass mat. Fiberglass shingles are more lightweight than traditional asphalt shingles. They are a little cheaper also. A drawback of fiberglass is they lack in durability and are not ideal for cold weather conditions. Dimensional shingles are very much like traditional 3tab shingles. The main distinction of the dimensional shingles is the appearance. These shingles are designed with aesthetics in mind. In the past 3tab asphalt shingles emerged as the number one choice for roof protection for many obvious reasons. Dimensional shingles give home owners the same protection as the 3tab, but also add the additional component of style. Traditional 3tab shingles have a repetitive look that looks the same from house to house. Dimensional shingles offer home owners an option to differentiate their home from the surrounding homes by giving it a three dimensional appearance. The advantage of using this asphalt roofing shingle is this material will be overlapped after its installed. This will give you greater protection against wind uplift, wind damage, and water leaks. Interlocking shingles also come in metal to give you extra protection if you need it. Asphalt Roofing is normally associated with residential or steep slope roofing. This is the most prevalent type of roofing material found in most neighborhoods. Asphalt shingles are versatile and lightweight. Roofing contractors can easily re-roof a whole house in less than a week. Although asphalt shingles are readily associated with home improvements, they are also used for commercial projects. Commercial buildings usually have a low slope roofing system. One of the most common low slope roofing systems in use today is builtup roofing. Built Up Roofing is an asphalt roofing system that is layered in conjunction with roofing felts. Built up roofing is based on the principle; there are many layers to compensate for any failed layers. If the first layer fails, there are many other underlying layers to safeguard the structure and keep it watertight. Another commercial type of asphalt roofing is Modified Bitumen. Modified Bitumen or Mod Bit for short, also utilizes a layer roofing system for protection. They are assembled in factories to maintain consistency among the layers. The layers are constructed with modified bitumen polymer and reinforced with glass and polyester. They form sheets that are coated with asphalt. These sheets are modified with asphalt and are usually known as APP Modified Bitumen or SBS Modified Bitumen. Both APP Modified Bitumen and SBS Modified Bitumen are excellent at preventing water penetration. Another quality both are known for is their flexibility to endure extreme contrasts in hot and cold weather conditions. They both are preferred roofing products among most commercial roofing installers. Asphalt roll roofing is a roofing product that is generally found on commercial buildings. It utilizes a roofing membrane and is designed for low slope roofing. The materials in roll roofing are comparable with asphalt shingles. It usually comes in a mat composition in rolls of 100 feet. It is not as durable as asphalt shingles. It is considered one of the cheapest roofing options on the market. It is not recommended to use this type of roofing on your home. It is mainly used on sheds, greenhouses, garages or roof decks. They offer little or no protection against wind resistance, hail damage, storm hits, or ice dams. 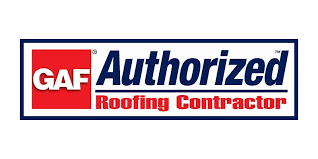 Asphalt roll roofing also has a high potential to shrink and rip throughout the changing seasons due to constant expansion and contraction of the material. The life cycle for this type of roofing is relatively short. It will generally last about 5-10 years.